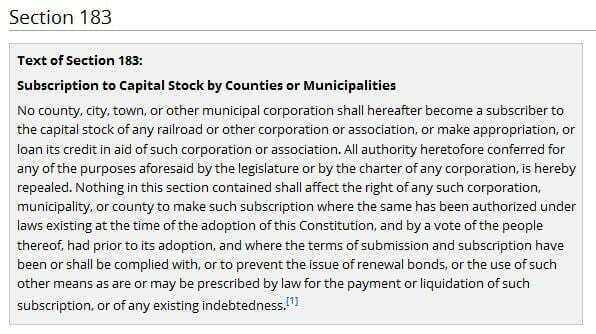 No county, city, town, or other municipal corporation shall hereafter become a subscriber to the capital stock of any railroad or other corporation or association, or make appropriation, or loan its credit in aid of such corporation or association. 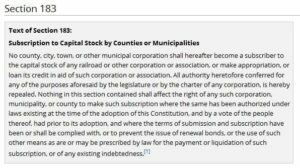 If Blanton wins his argument, the result will be the contract between the City and Groundworx will become null and void. Groundworx will have no claim of damages, and taxpayers will be off the hook for the irresponsible decisions of our mayor and city council who voted for this contract. The four council members who voted for the contract were Henry Naylor, Kim Bradley, Carter Carroll, and Mary Dryden. The Mayor also approved this contract. It is expected that Blanton’s attorney, will file for summary judgement in the case, asking Judge Doleac to rule that the contract violates the Mississippi Constitution and be declared null and void.